All Groups – here you can check all groups of your Membership site. Join or follow the group. 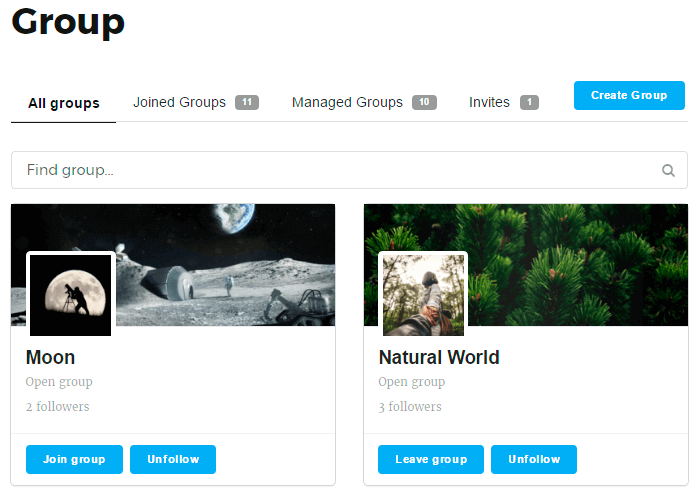 Joined Groups – the list of all your joined communities. On this tab user will be able unfollow or leave the group. Managed Groups – the list of all groups, which you have created. Invites – on this tab will be shown your invitations to new groups. Set the description of the group. 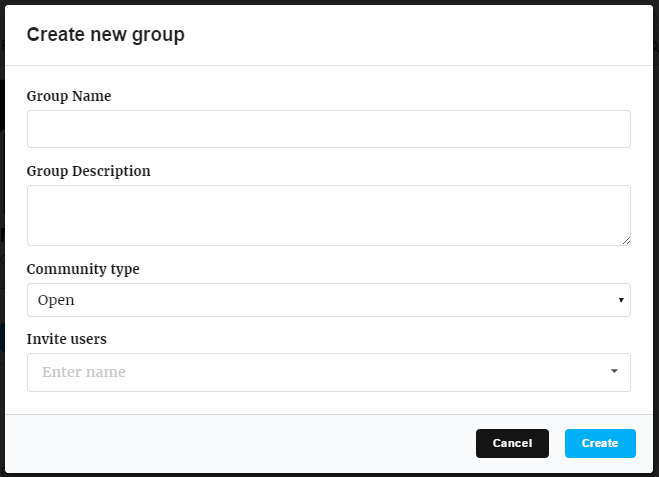 Choose the Community type – open, closed (users will need to send request in order to join the group) or private (in this case group will be invisible for other membership users, and joining the group will be available only by invitation from group administrator). 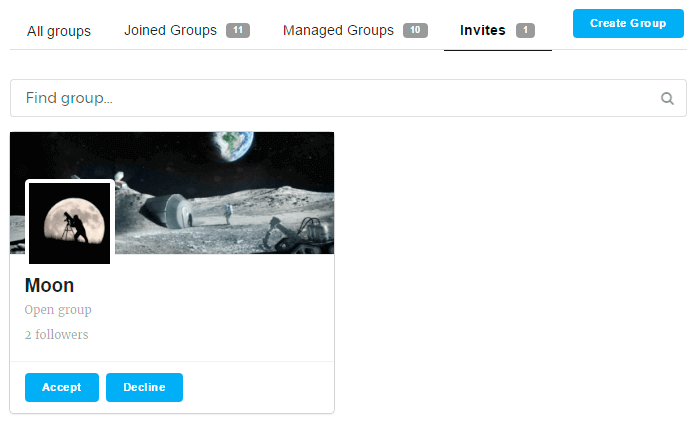 Invite users to your group. After creation of new group you will be redirected to the Group page. We suggest to add Groups Page into the website menu for easy navigation along your Community.